Check out the best-selling and most popular electric mixers and hand mixers – and get yours in time for Mother’s Day! Take a look. Just in time for Mother’s Day … choose from this fun, pretty, and easy cookie recipe collection full of kisses! Bake one, a few, or all four for the special woman in your life. Red Velvet Blossom Cookies: a striking cookie that combine the distinctive look of the traditional Peanut Butter Blossoms with American red velvet cake, a rich, sweet chocolate flavored confection with a unique deep red or red-brown color. Gorgeous! Cherry Kisses: these fruit-filled meringues melt in your mouth. They are made with egg whites and sugar beaten until stiff and then baked in a low oven. With no butter, margarine, oil, or egg yolks, the recipe’s only fat comes from walnuts. Candy Kiss Cookies: a variation of the classic Hershey Kiss Peanut Butter Cookies, this version is a simple butter cookie rolled in colored sugar with a Hershey Kiss or other candy kiss planted in the middle. 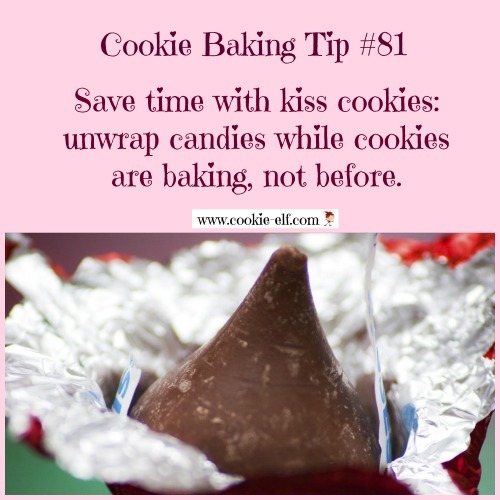 You can use peppermint (as the recipe calls for) or your favorite kiss flavor. Triple Chocolate Kisses: these meringues with chocolate centers look elegant but are very easy to make. Grated baking chocolate, chocolate kisses, and a dusting of cocoa powder combine with a light, fluffy meringue to make a scrumptious and deceptively stylish cookie that’s perfect for the chocoholic moms you know and love. 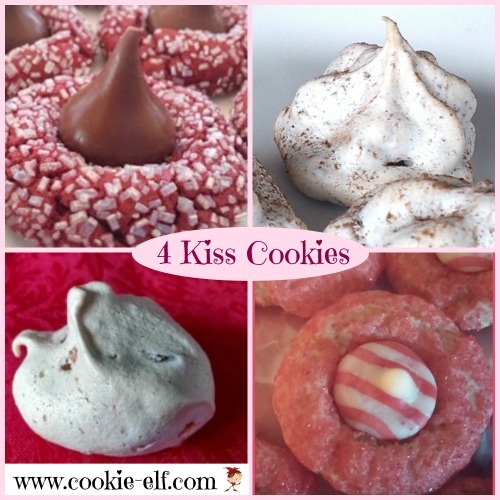 Be sure to check out more ideas for Kiss Cookies on our Pinterest board. Browse and print FREE grocery coupons for all your favorite brands at CouponSurfer.com. Start saving today! Easy Cherry Bonbon Cookies: Sweet Surprise in the Middle! Black Gold Chocolate Cookies: Perfect for Chocoholics!